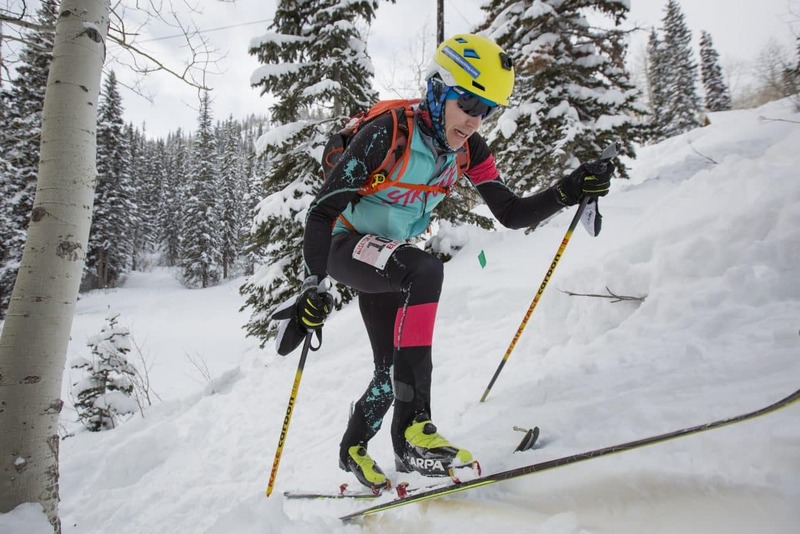 Brighton Resort hosted the annual Powder Keg Triple Crown Ski Mountaineering race series from Friday to Sunday, which doubled as the national championships. The series drew racers from around the Rocky Mountain region and the U.S., but Utahns still figured prominently in the results. The series kicked off with a sprint race on Friday evening, in which racers traveled up a short climb to a boot pack and descent. Gemma Arro of Midway took first for the women while Tom Goss of Salt Lake took first for the men. Arro showed her strength again on Saturday, where she took first in the elite race, in which competitors raced up five climbs totaling 6,500 feet of elevation gained over 10 miles. She finished in 2 hours, 37 minutes and 27 seconds. However, Brackelsberg said, because Arro is not a U.S. citizen (she is Spanish), she could not earn the title of national champion and qualify for the national team, meaning Sarah Cookler of Salt Lake City was the national champion in sprint, while Janelle Smiley was the national champion in the elite race on Saturday. John Gaston of Aspen finished first in the men’s individual elite race, crossing the finish line with a time of 2:02:24. Brackelsberg said racers had to contend with a strenuous boot-pack, which was compounded by weather. Ironically, the course was still altered to account for thin snow cover at the beginning and end of the course, which usually would cut through a stand of trees. Instead, the course stayed on the groomers for the start and finish, which Brackelsberg said would have created a faster course had it not been for wind and snowfall over the weekend. 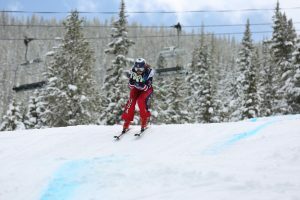 On Sunday, John Gaston and Max Taam of Aspen won the men’s 14-mile team event, while Caroline Gleich and Kathryn Bowman of Salt Lake took first for the women. Gleich and Bowman finished the race in 5:06:46, while Taam and Gaston finished in 3:07:56. Then a semi-truck jackknifed on the road up to the resort, closing it for two hours. “In that time, the sun came out and warmed up,” he said. It turned out to be the warmest day of the race. “You never can plan for something like that as a race director or racer,” he said.